We didn’t set out to design the best Ultra High Purity Water sealing system……but we did! These are the objectives our UHPW customers have told us are most important to them. We tried to meet these objectives in designing the KC Sealing System and believe they are important for end-users to consider in evaluating flange component alternatives. 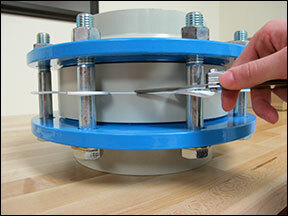 Seal the joint at bolt-up, during testing and during operation. Seal the joint at the pipe ID, not just at the flange face OD. You only see leaks at the flange face OD. 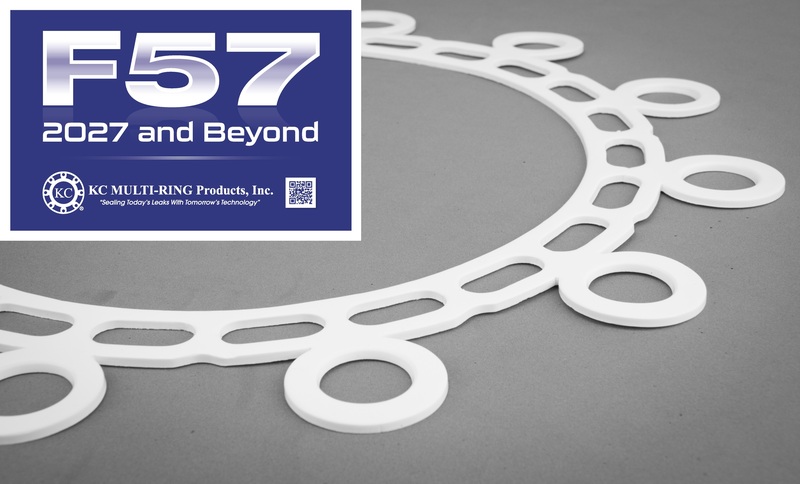 Even though there are no visible signs of a leak, you may have medium trapped between each side of the gasket and the face of opposing flanges. Seal at ID of the flange. Fit the flange both before and after bolt-up. Create no “pockets” at pipe ID under normal operating conditions. Minimize voids in the gasket material. Minimize gasket exposed area and compressed (installed) thickness. Provide even stress distribution on the gasket and flange area. Minimize total cost of installed flange, not just purchase cost of components at the receiving dock. Installation cost includes purchase cost of flange backing ring, gasket, fasteners and mechanical contractor crew cost (labor, tools, scaffolding and clean room) and project elapsed time. Costs at the receiving dock are the most critical costs only if flange components are never installed. Arrive at dock clean and ready to install. Reduce chances for installation error, while making allowance for such errors. Seal at pipe manufacturer’s torque values without requiring costly fasteners (higher grade and/or PTFE-coated), or bolt lubricants. Reduce re-installation costs to fix “leakers” during purge and testing. Help to geometrically center the pipe for proper laminar flow. Minimize the hydraulic forces which the joint must overcome – you do this by sealing at the flange ID, not the flange OD. Eliminate the distortion, and subsequent thermal set, of flange adapters caused by conventional flange backing rings. 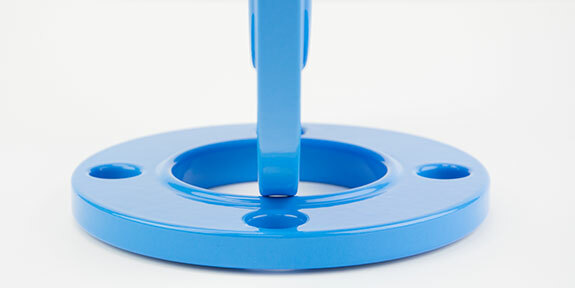 Manufacture gasket from as pure a material as possible. Achieve predictable, reliable, repeatable, measurable and verifiable joint performance.